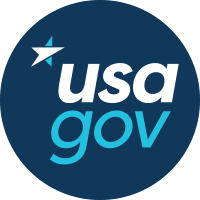 The U.S. Government is co-creating the fourth National Action Plan for Open Government (NAP 4) with civil society and the public. NAP 4 will include public commitments to advance transparency, accountability, and public participation across government. Share your ideas for NAP 4 by commenting on an issue below posted on GitHub, or, propose a new commitment by following the guidance and creating a new issue. If you do not have a GitHub account, you may create an account for free. If you prefer not to create an account, please email suggestions to nap4@gsa.gov and your contributions will be posted on your behalf. Attend our upcoming co-creation events. NAP 4 authors will review and consider all suggestions and feedback through GitHub, email, and in-person meetings although not all suggestions will necessarily receive a written response. All contributions are governed by our Public Engagement Guidelines. We look forward to moving forward on key issues together. We look forward to your valuable contributions as we co-create the United States’ fourth National Action Plan (NAP 4). This year marks an important transition for U.S. commitments to open government, as we move towards a smaller set of targeted, impactful and elevated commitments from broader sets of initiatives that have characterized past NAPs. Develop meaningful and ambitious commitments for the NAP 4 that reflect a spirit of clear accountability to U.S. citizens and demonstrate American leadership in promoting transparency and good governance. You can find all submitted commitments, goals, and feedback on GitHub. September 29: Open Government National Action Plan Co-Creation Workshop at NARA Innovation Hub - Request an invitation by emailing nap4@gsa.gov. January 18: United States moves from “odd year” to “even year” in the OGP cohort; the deadline for publication of NAP 4 is now August 31, 2018. June 6: Open.USA.gov/NAP4 is re-opened for public feedback. July – August: reasoned response process, further consultations and collaborative commitment drafting. Updates to follow post-co-creation workshops.